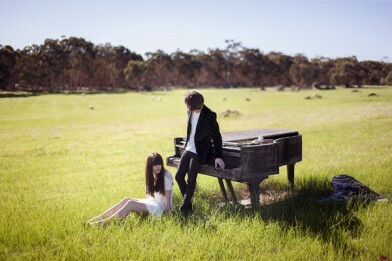 Australia’s acoustic duo Little Bird have announced the release of their self-titled EP Little Bird, available in the UK on February 13th 2015 and today have unveiled their debut music video ‘Until Tomorrow’. Little Bird is a musical infusion from 2014’s breakthrough band, Little Bird – produced by Dave Parkin (Jebediah, Bob Evans and Red Jezebel), is a unique collection of new wave indie pop, with influences ranging from Ed Sheeran, Gabrielle Aplin and Matt Corby. Founded in 2010 by Matt Williams and Rachel O’Hara, Little Bird is the sound of a band coming into their own to create an EP that demonstrates their confidence and skill. The title track from the EP will be released on January 16th 2015, with a video premier for the single Until Tomorrow the same day. The new release introduces Little Birds catchy and rich sound with the intimate and beautiful vocals of lead singer Rachel O’Hara and Matt Williams on guitar.